Awash Wine Share Company Job Vacancies 2018-2019: Awash Wine Share Company has recently publish an advertisement notification for Mechanic jobs opening for Nov. 2018. Awash Wine Share Company would like to invite qualified candidates for the following position. Here in Ethiopia, we have a proud tradition of wine making that stretches unbroken to the reign of Queen of Sheba and beyond. Two Greek and Italian families initiated in 1943 GC (1936 Ethiopian Calendar). The two ventures were nationalized in 1973 and regrouped in one entity that was named Awash Wine. 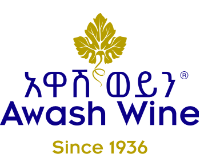 Established in 1956, Awash Wine is Ethiopia’s longest established wine maker. Since that time we have grown to be one of the country’s most loved brands- a market leader that is interwoven with the cultural fabric of the country. Last Date:- November 19, 2018. Awash Wine Share Company, Addis Ababa, Ethiopia. Awash Wine Share Company Job Vacancies 2018-2019: Awash Wine Share Company has recently publish an advertisement notification for Area Sales Manager, Automation Engineer, Utility/Sanitation Engineer, etc. 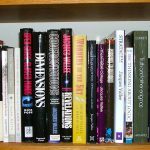 jobs opening for June 2018. Bachelor’s degree in Marketing Business Administration, or related. Minimum 4 years in the Fast-Moving Consumer Goods (FMCG) industry with good Route to Market Knowledge. Previous experience in the Addis Ababa market will be preferred. At least 2 years’ experience having managed sales representatives and distribution teams with a sales target responsibility. 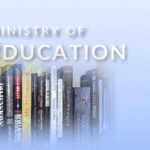 Bsc Degree in Electrical/Electro-Mechanical Engineering or equivalent. Three years’ experience as Automation Engineer. Three years’ experience in Beverage/Food industry. Bsc. Degree in Sanitary/Hydraulic Engineering or equivalent. Minimum 3 – 5 years’ experience in water supply & sanitation projects. Proficient in AutoCAD, MS-Project, Water Cad and related softwares. Familiar with MS office software (Word, Excel, PPT, Outlook). Good communication and coordination ability. Good team work spirit. Fluent in English and Amharic. BSc degree in Public Health (Health Officer) graduated from recognized university. Minimum of 5 years of relevant experience, preferably at both OPD/MCH level in Health Center or Hospital. Post basic BSc with 2 – 5 years of relevant work experience before BSc program requires one-year relevant work experiences working on OPD/MCH level in HC or Hospital. Last Date:- July 06, 2018.